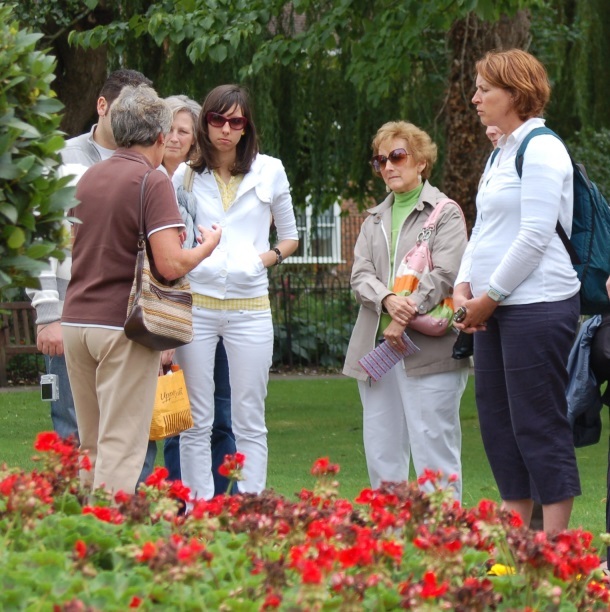 An excellent way to become acquainted with the city is to join a guided tour with one of Winchester’s official tourist guides who regularly lead groups around the city and wider district. Winchester’s official tourist guides have been guiding in Winchester for more than 30 years. All guides have undergone rigorous training and are accredited by the Institute of Tourist Guiding. The Green Badge guides are qualified to take tours in Winchester and the surrounding district whereas Blue Badge guides are qualified to guide across a wider area, e.g. Southern England, London or the West Country. Common to all guides is a genuine enthusiasm for their City and the desire to bring it alive for both visitors and residents alike. Regular tours take place throughout the year, departing from the tourist information centre and lasting approximately 90 minutes. Tickets for the Upper Winchester tours (which include discounted entry to The Great Hall) cost £7.50 for adults, with accompanying children FREE. For the Lower Winchester Tours and the Christmas City Highlights, the cost for adults is £6, with accompanying children FREE. Tickets can be bought on the day from Winchester Tourist Information Centre. Discover Upper Winchester takes you around the centre of Winchester, passing the cathedral, Great Hall and site of King Charles II’s royal palace. Discover Lower Winchester follows the River Itchen before passing Wolvesey Castle, Winchester College, Jane Austen’s House and the Cathedral Close. 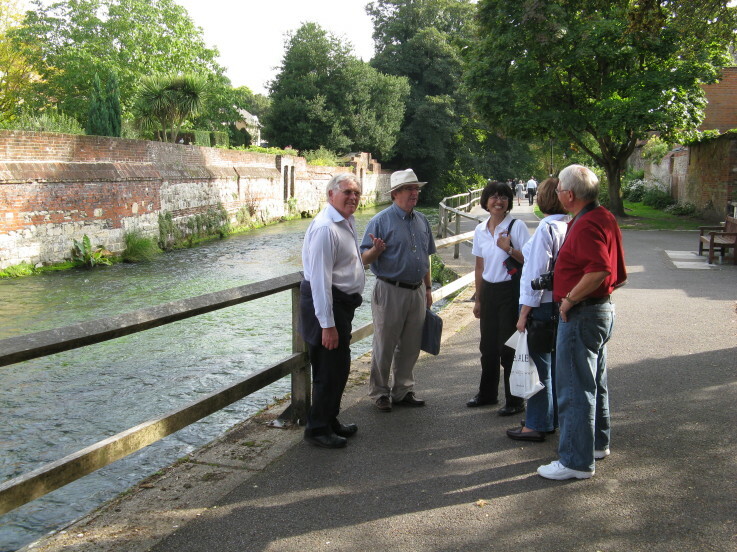 The City Highlights tour takes in the main historic sites in Winchester city centre. Winchester is alive with natural, historic and architectural treasures, join one of the many themed tours to find out more! 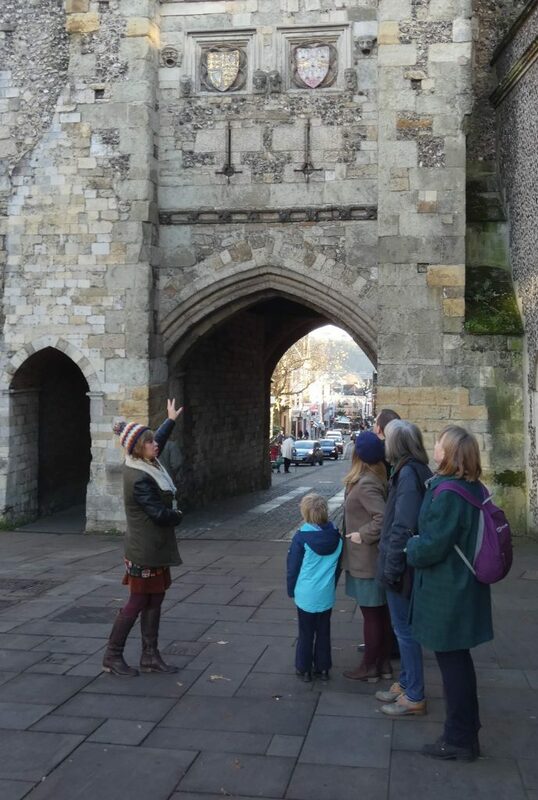 Each year, Winchester’s tourist guides run a series of special interest tours in addition to their regular tours of the city. Prices for themed tours vary and can be booked at the tourist information centre. Advance booking via the tourist information centre is advisable, a £1 postage fee is applicable for tickets sent out. Please email the tourist information centre on tourism@winchester.gov.uk or telephone on 01962 840 500 for more information. If you are coming with a group, why not book your own private tour? Private or group tours can be arranged for any number of people, catering for special interests and foreign languages. Ready-made themed tours range from Royal Scandals and Literary Winchester to Jane Austen’s Winchester, but the guides will always try to meet your own requirements given adequate notice. Prices start from £70 for a standard 90 minute tour. Alternatively why not make the most of your visit by extending your tour to a half- or full-day with a tailored itinerary and built-in refreshment stops. To book a Group Tour, please contact the tourist information centre on 01962 840 500 or email tourism@winchester.gov.uk for more information. To book a guided tour please complete the Guided tour booking form and return this to tourism@winchester.gov.uk . For full details on how to book a guided tour please click here. A walk around Regency Winchester in the company of Jane Austen and John Keats as part of the Winchester Festival. A guided tour of the medieval charity and its almshouses. See the places where Jane Austen stayed and visited. Discover some things you probably don't know about your own city! Discover the highlights of Tudor life in Winchester. A guided walk to mark the 200th anniversary of the poet Keats coming to Winchester in 1819.